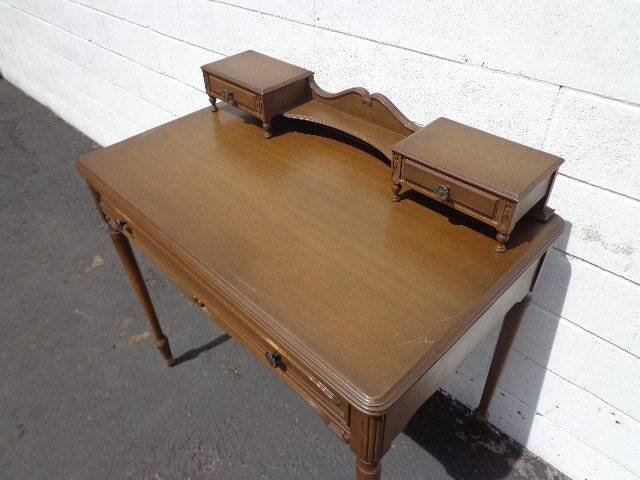 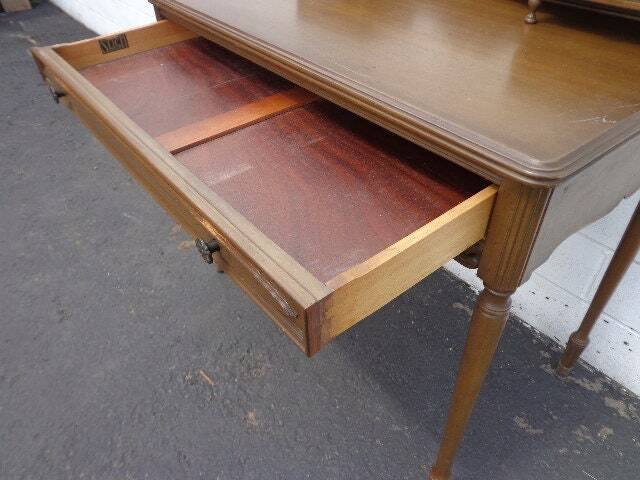 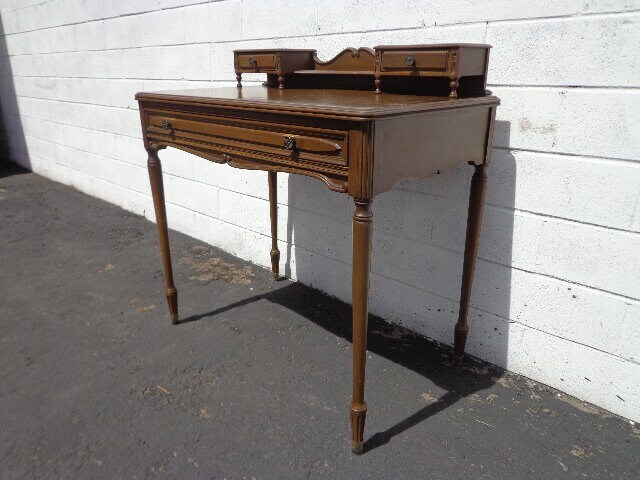 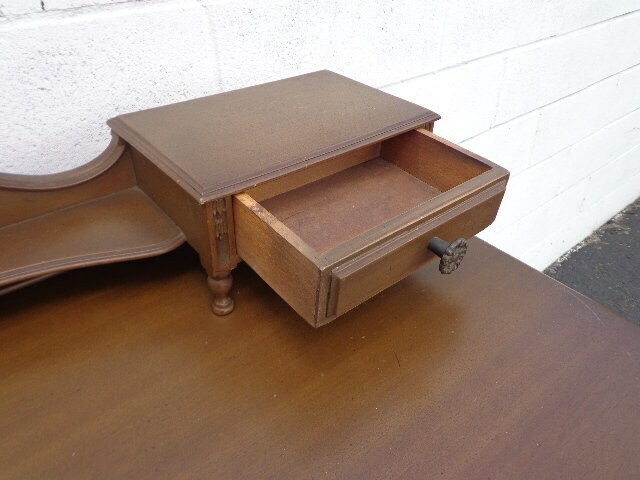 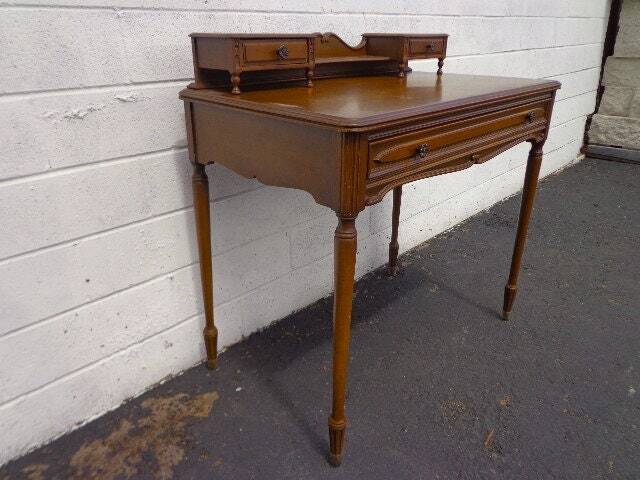 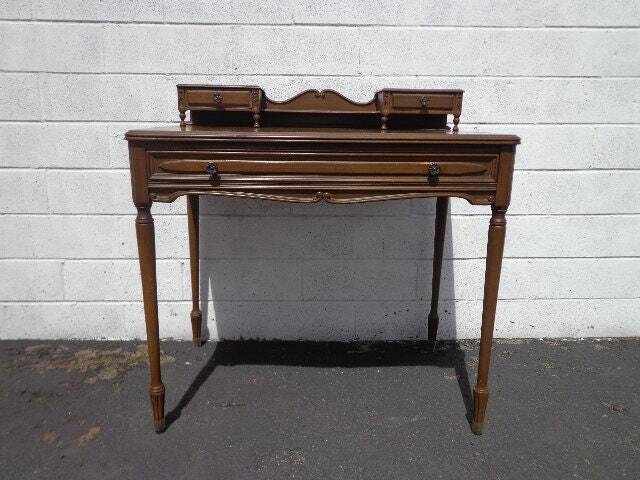 Gorgeous shabby chic / Regency/ French Provincial desk vanity with a removable storage top. 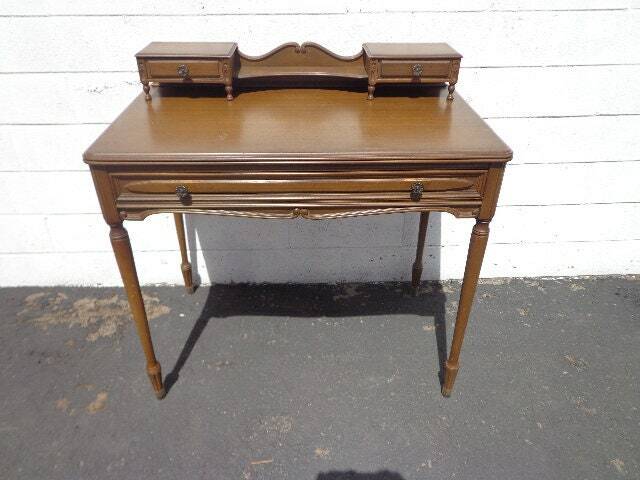 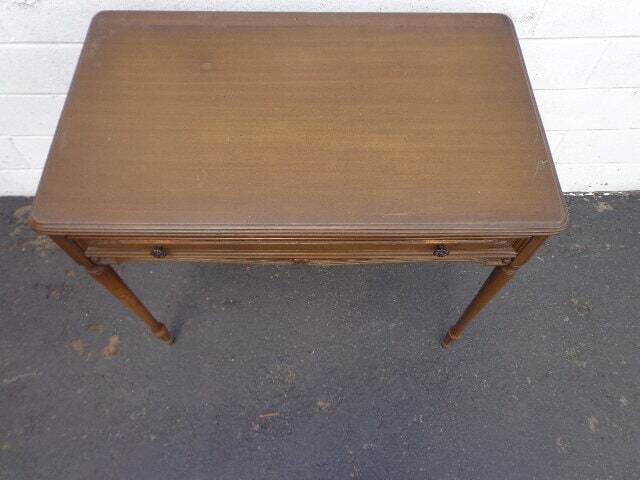 This piece features a darling shape and can be used as a writing desk, laptop stand, makeup vanity, sewing table etc. 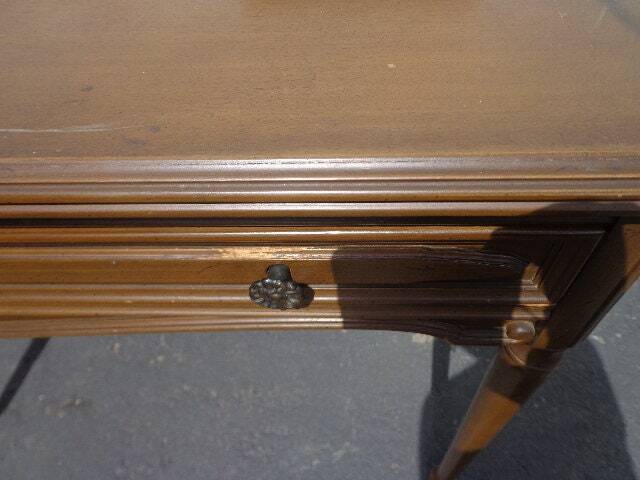 Bears its original wood finish. 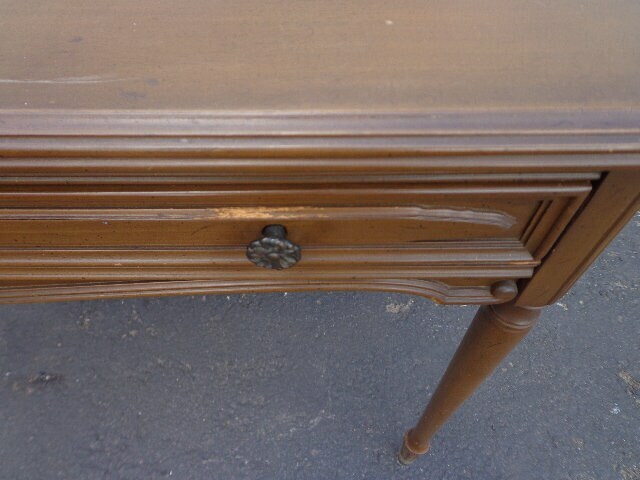 Keep as is or paint for a whole new look.